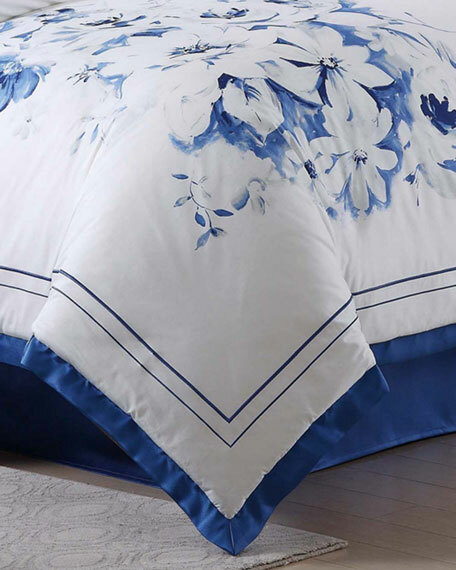 Four-piece comforter set includes: one comforter (110" x 96"), two shams (36" x 20"), and one dust skirt (72" x 84" with 16" drop). 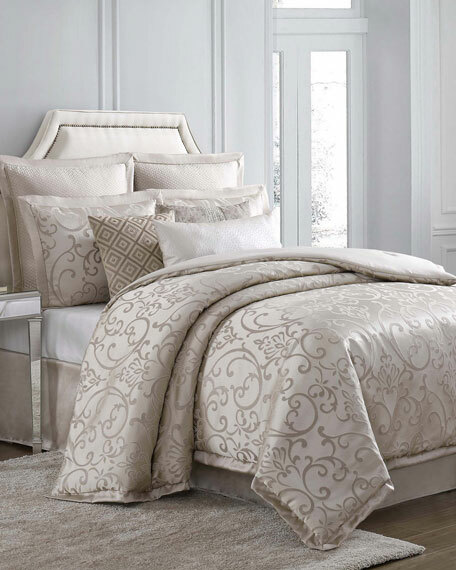 Four-piece comforter set includes: one comforter (92" x 96"), two shams (26" x 20"), and one dust skirt (60" x 80" with 16" drop). 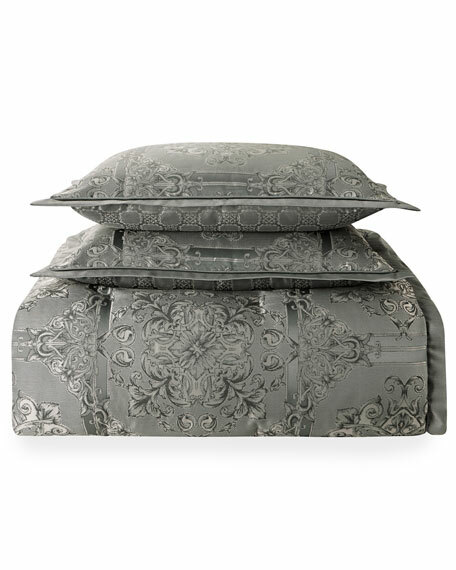 Four-piece comforter set includes: one comforter (110" x 96"), two shams (36" x 20"), and one dust skirt (78" x 80" with 16" drop). 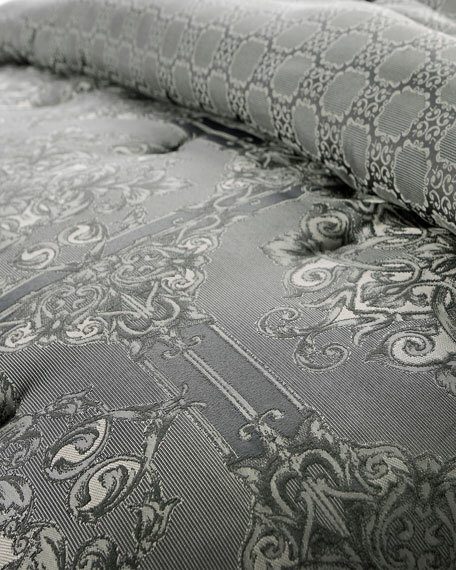 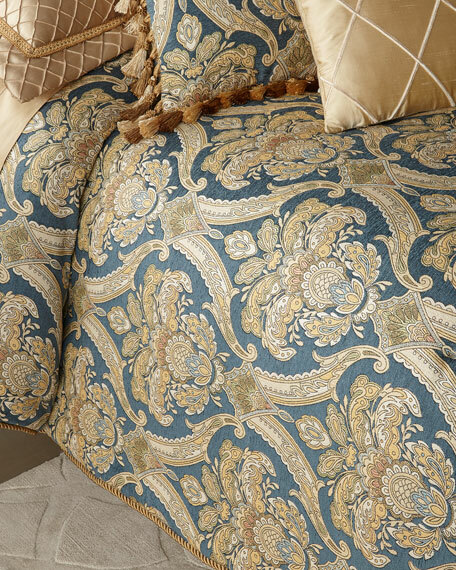 Fully reversible shams with a gunmetal ground and engineered jacquard pattern complete the look. 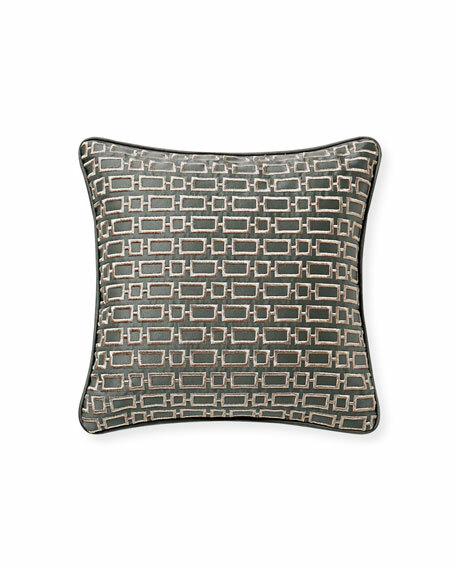 Decorative pillow with contrast taping. 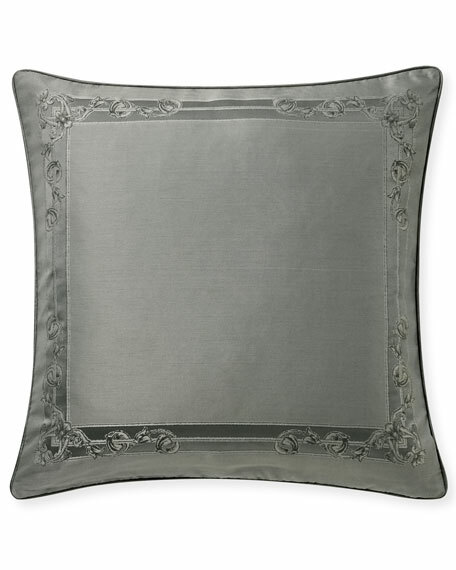 Decorative pillow with tufted and embroidered accents. 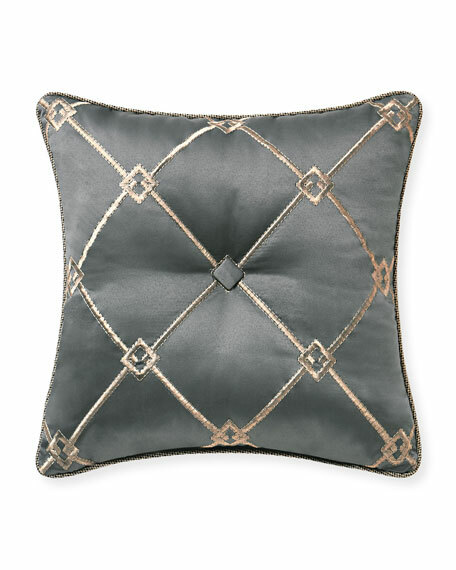 Decorative pillow with allover metallic embroidery. 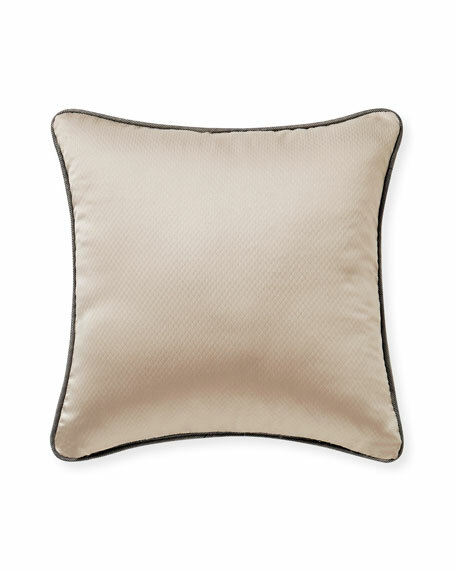 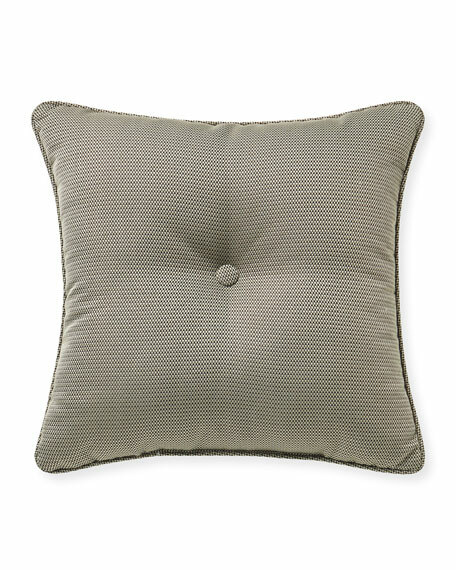 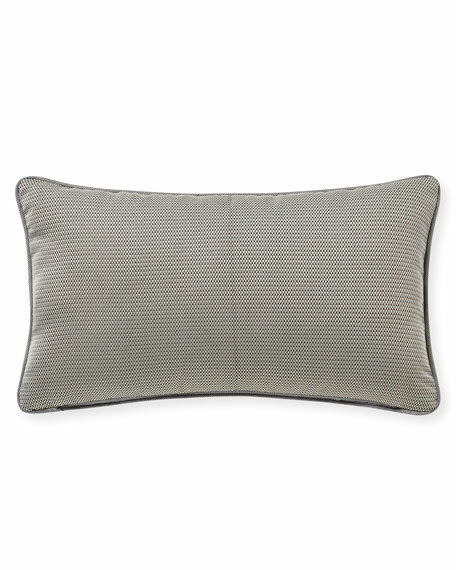 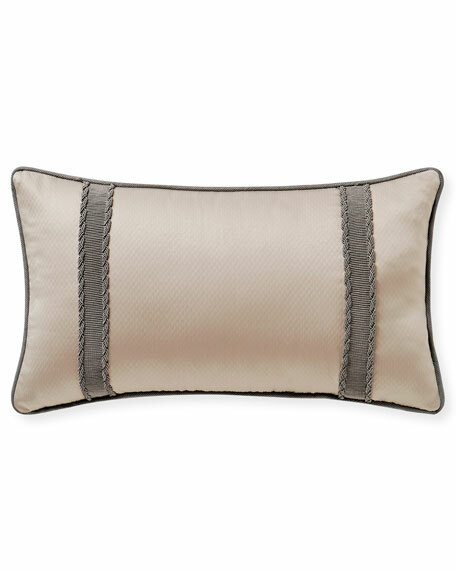 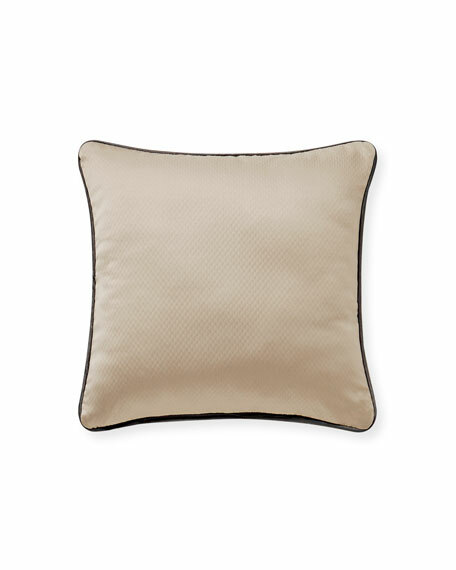 Bring a classic look to your bed with this pieced decorative pillow of charcoal and taupe geometric jacquard and coordinating ottoman weave featuring a luxurious two-tone beaded trim. 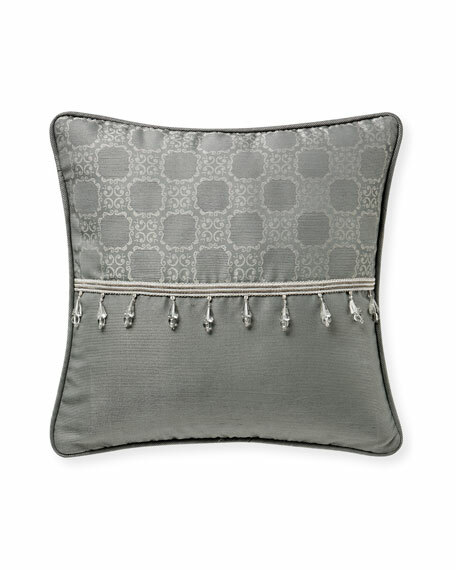 Mixed pattern pillow with hanging beaded trim.